HF: The SCMP of the 18th June 2015 contained an article about the lengthy conversion of the old senior staff quarters into a museum by 1919. This should perhaps be read in conjunction with a Ming Pao article of 23rd August 2015, linked below, in which Dr. Edward Yiu, Associate Professor of the Department of Geography and Resource Management at the Chinese University of Hong Kong, argues that what remains of the Dairy Farm land could well qualify as the first ecological-heritage park in Hong Kong and that it should be protected from Government proposals to build 9,000 new flats there. 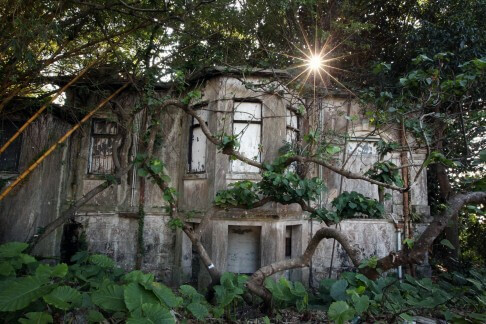 The SCMP article begins: “Conversion of the former Dairy Farm senior staff quarters in Pok Fu Lam into a living museum could be the first step in reviving dairy farming in Hong Kong, according to the charity which won the bid to use the site under the government’s historic building revitalisation scheme. Caritas-Hong Kong defeated two competitors and was awarded the right to run the 128-year-old premises for non-profit use. Two other heritage buildings will be revitalised after the results were announced on Tuesday. The 2,124 square metre Dairy Farm site will be restored to how it looked in 1919, based on information from an old book cross-referenced with aerial photos from different years. The site has been abandoned since the 1980s and was one of the poorly maintained historic buildings named in an Audit Commission report in 2013. Since then the government has been conducting restoration works. 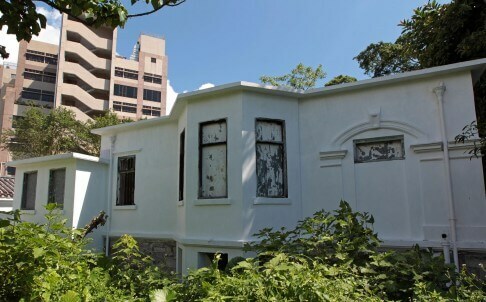 The latest plan will see the site turned into a living museum by 2019, exhibiting artefacts such as tools used on the former dairy farm and oral history as recounted by old workers and Pok Fu Lam villagers. Members of the public will also be able to get a taste of making dairy products, including ice cream, yogurt and cheese, in museum workshops. Two model cows will be installed to show how workers milked cattle. See the link below for the full article. This article was first posted on 23rd September 2015.